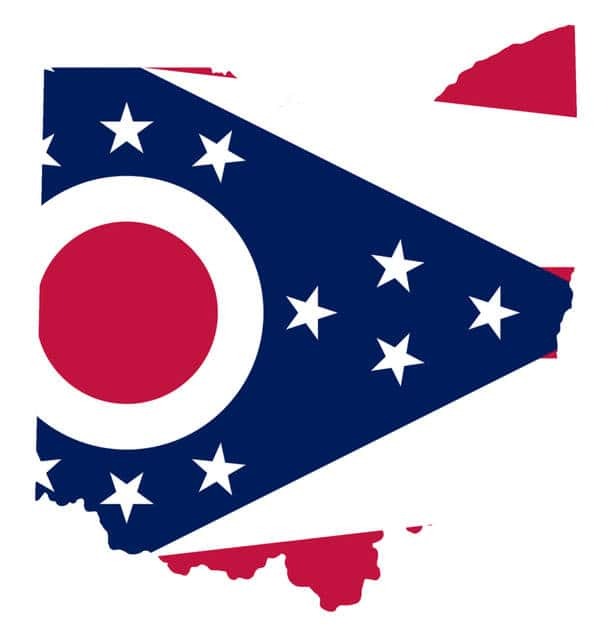 CLEVELAND — Officials say they are shutting down a service that helps Ohio residents enroll in Medicaid. The Plain Dealer reports the Ohio Association of Foodbanks decided to shut down its Navigator program last Thursday after it was notified of a 71 percent cut in its grant funding. Lisa Hamler-Fugitt, executive director for the Ohio Association of Foodbanks, says most of the program’s 54 employees will be laid off effective immediately. The organization employs Navigators who help residents sign up for health insurance through Medicaid or through Affordable Care Act exchanges. Hamler-Fugitt says now there won’t be any Navigators left in the state. Another program ended its Navigator operations earlier this month after it had yet to receive grant funding. AKRON — A man convicted of killing three down-and-out men lured by bogus Craigslist job offers is appealing his death sentence to Ohio’s highest court. The Akron Beacon Journal reports the Ohio Supreme Court will hear the appeal of 58-year-old Richard Beasley Tuesday morning. COLUMBUS — Authorities say a car pulling into the driveway of a central Ohio home fatally struck a 2-year-old girl who was sitting or lying on the driveway while playing. Columbus police say the toddler, Mya Canfield, died at a hospital after being hit on Sunday evening. WSYX-TV reports that the girl’s uncle said he pulled the child from beneath the car and had tried to administer CPR with the help of a neighbor. Police say the 52-year-old man who was driving the car has cooperated with officers investigating the apparent accident. No charges were immediately filed. BUCYRUS — Authorities say an 18-year-old woman was killed when two jet skis collided on a farm pond in Crawford County. The Crawford County Sheriff’s Office says the woman was on one jet ski when she was struck by another one on Sunday evening in Crawford County’s Tod Township. The woman was pronounced dead at a hospital. Authorities said her name was being withheld until her relatives could be notified about the death. The sheriff’s office says the Ohio Department of Natural Resources will help investigate what happened. YOUNGSTOWN — Officials in northeastern Ohio say a woman has died and three other people, including a young child, were hospitalized after a house fire. Youngstown fire officials say the woman was pulled from the fire early Sunday and revived by firefighters, but later died at a hospital. Youngstown Fire Battalion Chief Gary DiTullio tells WKBN-TV a child was dropped off the roof to a passer-by and at least one adult jumped to escape the flames. Their conditions were unknown. Two dogs were killed in the fire. HARTVILLE — The Ohio State Highway Patrol says four people were killed when their car went off the road, hit a tree and burst into flames. Authorities say the driver apparently lost control while driving in Lake Township in Stark County on Sunday. They say the car drove through a field before striking a tree. One person was thrown from the vehicle and three were trapped inside as it caught fire. Emily Herron, who witnessed the crash, tells the Canton Repository that her husband tried unsuccessfully to put the fire out with a hose and was unable to open the car door because of the heat. Authorities have not identified the people killed. MILAN — Residents of inventor Thomas Edison’s Ohio hometown have marked its 200th anniversary by burying mementos in a time capsule that’s intended to be opened in a century. The Sandusky Register reports people in Milan contributed dozens of items. They included photos and drone footage of town, currency, bourbon, a phone book, Edison-related souvenirs, passes to Cedar Point amusement park and a ticket stub from a recent record-setting baseball win by the Cleveland Indians. The reinforced canister was dropped underground during a Sunday ceremony and covered with a heavy plaque. It bears a picture of Edison and the words history, innovation and community. Current residents are celebrating 200 years since people began claiming Milan as their home, but it’s not officially the bicentennial because the city wasn’t founded until 1833.